At a quick glance a reverse mortgage and a HELOC appear very similar. However, once you begin looking at the details they have many striking differences between them. In short, while both can meet the immediate purpose of the loan, a reverse mortgage is designed to accommodate the individual’s lifestyle well after they receive the money. Comparatively, a HELOC can cause increased financial stress over the long-term making many homeowners regret taking out the loan in the first place. If you are 55 or older and considering a HELOC, make sure you take the opportunity to talk about the benefits of a Reverse Mortgage and the difference it can have in your life. If you would like to learn more about Reverse Mortgage and the opportunities it can provide you, please contact The Angela Calla Mortgage Team and we will be happy to help you live a lifestyle you’ll enjoy. 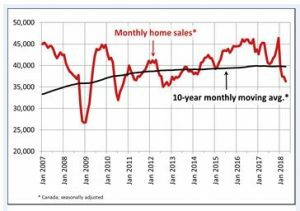 As expected, the Bank of Canada held rates steady at 1.25% for the third consecutive month but said that first-quarter growth was stronger than expected and that developments since April suggest that higher interest rates will be warranted. The first quarter GDP numbers are out tomorrow morning, and it’s clear the Q1 growth will be above the 1.3% figure the Bank projected in the April Monetary Policy Report. This opens the door for a rate hike possibly as soon as the next meeting on July 11. The Canadian dollar rallied on this news as many feared that the Bank was behind the curve in responding to a recent rise in overall inflation–induced by higher gasoline prices–and very tight labour markets. Not everyone shares this optimism. The past week’s bank earnings releases show that mortgage originations have slowed considerably from year-ago levels and some have suggested that weak activity will prevail for the rest of the year. 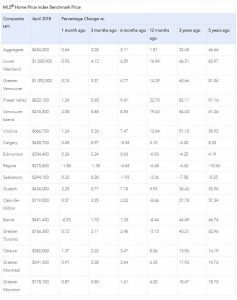 The posted mortgage-rate, which is used to qualify borrowers, has risen to 5.34%, making it more difficult for some to gain approval, particularly at the federally regulated lenders. 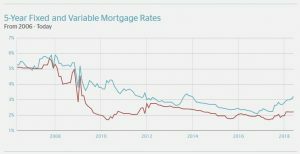 Variable mortgage rates are much lower as the gap between fixed and floating rates has hit historical highs. Bottom Line: The central bank statement was much more hawkish than expected suggesting we are on target for a rate hike in July and another one is likely in October as well. The Bank of Canada raised rates three times since the middle of last year as the economy moved closer to full capacity. But the Bank has been in a holding pattern since January cautiously waiting to see the results of trade negotiations and the degree of the slowdown in housing. These factors will determine the pace of future rate hikes with the Bank estimating its neutral rate is 3%, more than double the current overnight rate. The Bank will only very gradually approach that level, mindful of the impact on an overly indebted household sector. Angela Calla, Mortgage Expert, AMP of the Year in 2009 has been helping British Columbian families save money with the best mortgage strategy for over a decade from her Port Coquitlam office location. She is a regular contributor to national and regional media outlets and long-time host of The Mortgage Show on CKNW Saturdays at 7pm, and sits on many advisory boards for mortgage lenders and insures. Angela can be reached to help you or for media inquiries at callateam@dominionlending.ca or 604-802-3983. You may have heard that rates are changing, and that is true. They don’t call it war for nothing and you need an expert by your side! Think of mortgage brokers as your loyal soldiers. What we are seeing is exactly what we anticipated when prime rate goes up and discounts go down. Confused? Don’t be, variable rates are based on prime and both Bank of Canada Prime and Bank Prime are different. What the new discount means is what it means – they anticipate prime to go up higher. With current regulations, borrowers qualify for more mortgages on a variable rates! This is a shift from the previous policy where more Canadians were having to take fixed rates to qualify for the most. These new discounts on new mortgages getting taken out there discount is lower off of the bank’s prime rate- this does not apply to an existing mortgage. Did you notice earlier I said the bank’s prime rate, you would think they are all the same… right? This is not the case. In November of 2016 one Canadian lender broke the trend of their counterparts and raised their internal prime to immediately impact their existing customers by adding to their amortization. This discount below was for new clients, they increased the discount so it looked bigger. 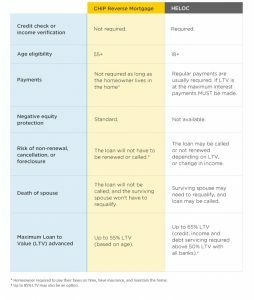 It’s important to note – each lender has unique criteria to be met to get these offers: some only for purchases, some only with switches, some only certain amortizations, and some only certain property types. The list goes on! • Does have a 12 month penalty payback if getting a larger mortgage at new rates! Best one! • Have to go to branch to lock in and then be subject to their IRD (usually 3-5% of balance pending where you are in your term). With seven-in-10 mortgages breaking before the term is over, this should be weighted very carefully. A mortgage that gets locked in with first or second lender above at $500,000, by the third year the cost to break a mortgage will be between $15,000 and $25,000. With the third lender the cost would be between $5,000 and $7,500. These new wars apply to new mortgages. If you have a mortgage with a discount less than .50, a renewal upcoming, looking at accessing your equity for home renovations or to consolidate debt and you have a variable rate, it may be time to run the numbers to see if taking a new variable rate mortgage is beneficial for you. One of the significant benefits of having a VRM is to get out at any time with only three months interest penalty (unless a restrictive product was taken for a better rate or had a sale only clause). As you can see we have only scratched the surface in terms of the differences. There are many other differences and mainly you have to consider as a consumer, do you want to be calling a bank branch and play Russian roulette with the education level and sales goals of the person who guides you through deciding what to do with your biggest asset? Or would you rather have a mortgage professional who is in the front lines proactively guiding you and assessing the economic factors to give you personalized advice based on their experience and knowledge of the mortgage industry. Depends on what you value most! Do you have questions on how we can help you? It’s a mistake to shrug off interest rate increases because all banks are doing it. There’s a lot of sameness to how banks treat their customers, but raising rates is an exception. We’ve recently seen varying levels of aggressiveness in raising mortgage rates. And in one case, we’ve seen an unusually shaky hand in ramming through a rate hike on lines of credit. If you’re a borrower, keep an eye on how banks compare with each other to make sure you’re not getting shafted. Read more here: Bank Shafting you on rates? Angela Calla, Mortgage Expert, AMP of the Year in 2009 has been helping British Columbian families save money with the best mortgage strategy for over a decade from her Port Coquitlam office location. She is a regular contributor to national and regional media outlets and long-time host of The Mortgage Show on CKNW Saturdays at 7pm, and sits on many advisory boards for mortgage lenders and insurers. We can be reached to help you or for media inquiries at callateam@dominionlending.ca or 604-802-3983. If however rates raising another 50 basis points this year and knowing you can likely lock in below 4% now is most attractive to you, this may be your time. The next announcement from the BOC on Prime Rates is May 30th 2018.